Improving partnerships between Moscow and Tokyo should please in theory, but it practically reminds us an undercover fight between two “implacable enemies”: each of them getting closer to a competitor-partner tries to get maximum advantages only for itself. Russia is interested in giving a new impetus to the Far East which is subsided, , while Japan suggests respectively that business expansion will let it “occupy smoothly” territories that Japan considers consistently as its possession. Prime Minister of Japan Shinzo Abe is coming to Moscow with good intention – he intends to sign more than 20 agreements with Moscow and each of these agreements will have its own economical project. And it does not look like that there are only the expectations of the hosting side, on the contrary, the Japanese want it quite willingly. There will be also a joint government commission on the Kuril Islands. For Russia, the islands are the southern territories, and for Japan, they are northen ones. Both sides consider these territories as its property, despite the fact that Russia has a legal right to own them. In reality, both countries have not signed a peaceful agreement after the World War II because of these islands. These small territories between the Okhotsk Sea and the Pacific Ocean are hostages in the policy of the leading geopolitical players – the existence of “the North Kurils issue” lets Japan be under protection of the US and be an active “torpedo” next to the borders of obstinate Russia. From the other hand, the fast growing island country of the Rising Sun is short of land. In the third, life on the Kuril Islands is far from an ideal one and not close to “a real comfort”, but the territories belong to Russia, and Moscow does not mean giving up them. Therefore, the issue has still existed and it clashes and connects two different countries. From one side, Tokyo joined immediately to anti-Russia sanctions, from the other side, a year after, when the sanctions were imposed, it proposed Russia a comprehensive program on cooperation. And there is no other way to do it – Japan suggests that integrating the islands in its economy will give a chance to get them back. Therefore, no one would be surprised if, subsequently, it proposed to give the citizens of these territories a dual citizenship. And, in this fight-dance performance, Russia will have to show its ability to find a balance between two extremes: taking bonuses from the cooperation but not losing the territories. In the end, Moscow has only one solution: to play a dangerous and complicated game. In real, having the sanctions and the efforts of its own “reputable experts”-economists, Russia cannot develop the region on its own that stayed undeveloped even in the stable periods of the Soviet époque when there were unique enterprises and ports. “I do not believe in signing agreements. For Tokyo, it is another reason to put forward its claims on the territories that are its idea-fix, national paranoia. The claims prevent Japan from seeing a real situation, and economic cooperation just covers its claims”, Alexey Plotnikov, Ph.D. in History, expert in Russian-Japanese relations, said to Tsargrad channel. At the same time, the guest of Tsargrad channel expressed confidence that even if the Russian territories were given hypothetically to Japan, the island country could not use them fully. He thinks that the main reason of it is that ‘the country got absorbed with Americanism” and any possession of territory will become the object of Japanese- American agreement on security. And, there might be another military US base.. The expert is sure that Russia should do the same that the soviet government did in 1960 when Japan violated the declaration of 1956 and expressed its claims on Kunashir Island, which was not mentioned in it, and made an agreement with the US. 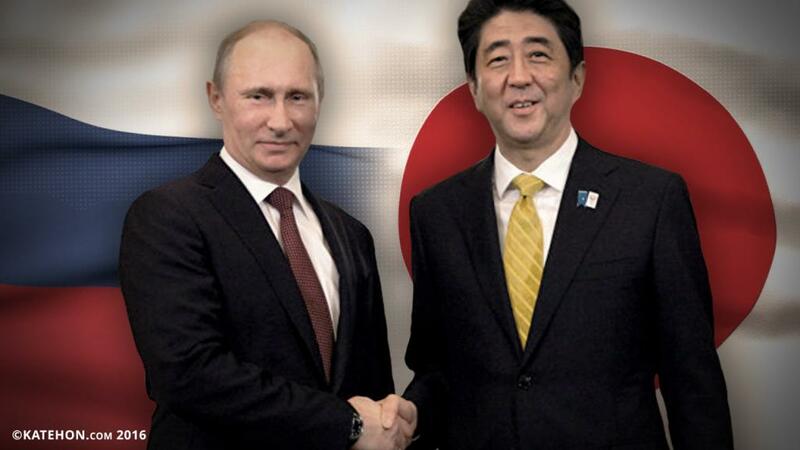 Russia should firmly announce to the Japanese government that there will be no agreements on the Kuril Islands. “Afterwards, Gromyko said: “we told you everything in 1960 and we would not make any other decisions”, professor Plotnikov remembered the history of Japanese claims on the islands. ”The period of 1970-1980 was the most fruitful period of our cooperation and it was not confused with the issues on “the northern territories” which only the Japanese have. Everyone respects force, and the East also respects the sequence of force. Even if the official position of Russia on the possession of the territories is clearly formed, it is only announced verbally by Zaharova and the other representatives of Ministry of Foreign Affairs. However, we need take an action and make an official statement to Japan, which cannot give up this issue”. However, Moscow chose a much more difficult way that characterizes the style of the Kremlin policy: just to remember notorious Minsk agreements and the situation in Donbass. At the same time, Russia has a specific situation now that explains that this approach towards Russian-Japanese cooperation can be the only one reasonable solution. Not by chance, the president of Russia is the master of martial arts. And there might be a fight with the Eastern partners in the future. Not easy fight.